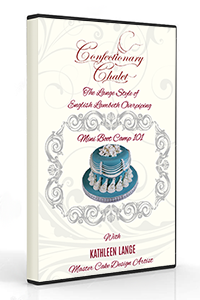 This Instructional DVD Kathleen Lange demonstrates her Famous Lange/Lambeth English Cake Decorating Mini Boot Camp 101, as if you were attending one of her famous classes. 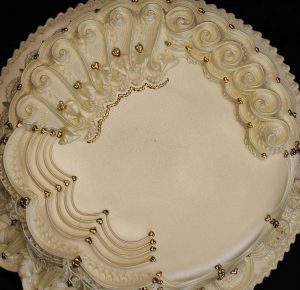 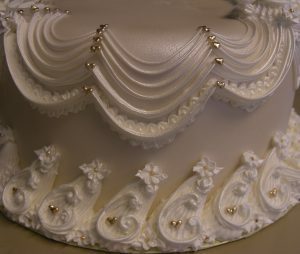 Perfect way to practice cake decorating piping with precision and be ready to attend on of her FAMOUS 2, 4, 6 or 8 day Boot Camps Internationally. 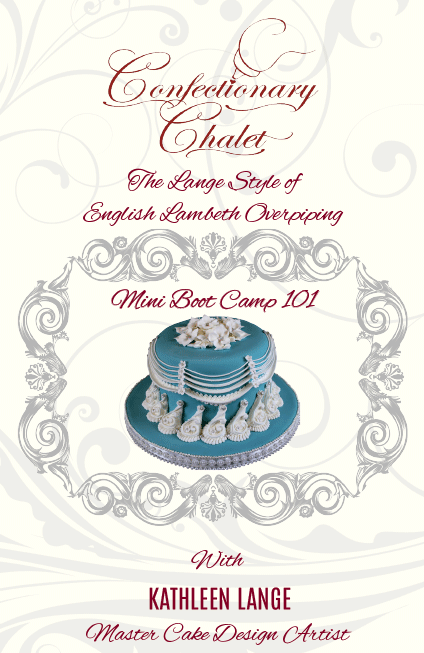 Mini Boot Camp 101 will be based upon the work of Joseph Lambeth; an English method and one of the most distinguished forms of cake decorating. 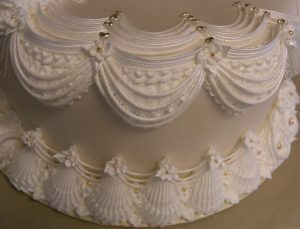 Students will learn the basics of this method; how to hold the decorating bags and tips properly; techniques shown, will help the students learn how to make the perfect zigzag, shell, scalloped swag border, string of pearls, roped scallop, 3-D overpiping and basic stringwork techniques. 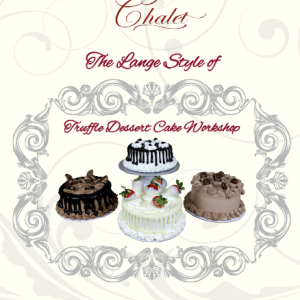 You may work along with the DVD in order to practice each skill taught.